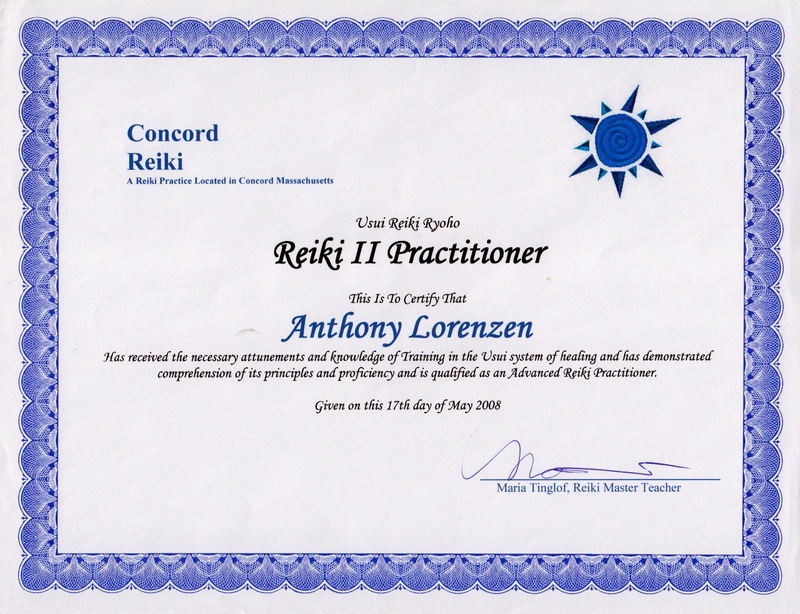 I have been practicing Reiki since March of 2008 and now consider it a vital part of my ministry. 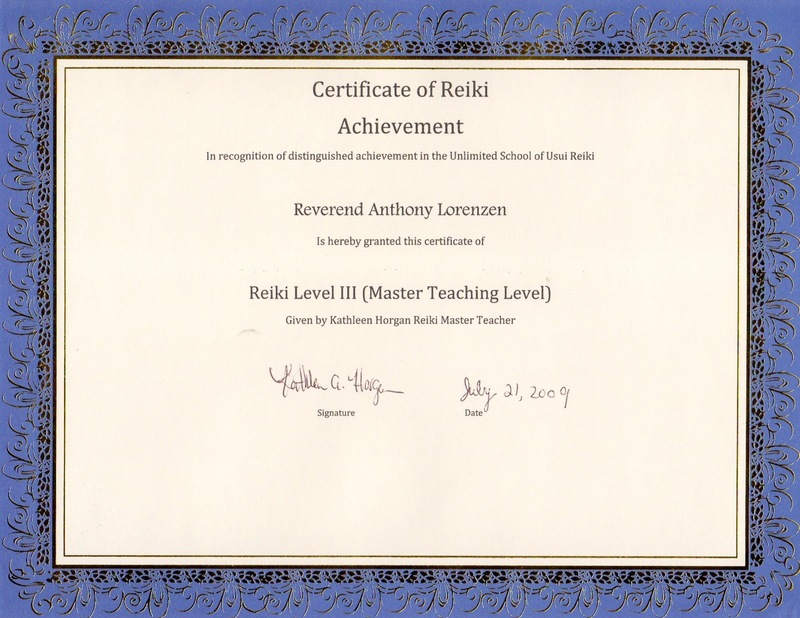 I did my Reiki I and II training and received my Reiki I and II attunements with Maria Tinglof of Concord Reiki in Concord, MA in March and May of 2008. I studied for my Reiki Master attunement with Kathleen Horgan of Worcester, MA in July of 2009. I lead Reiki services at Unitarian Universalist churches and organize Reiki shares. 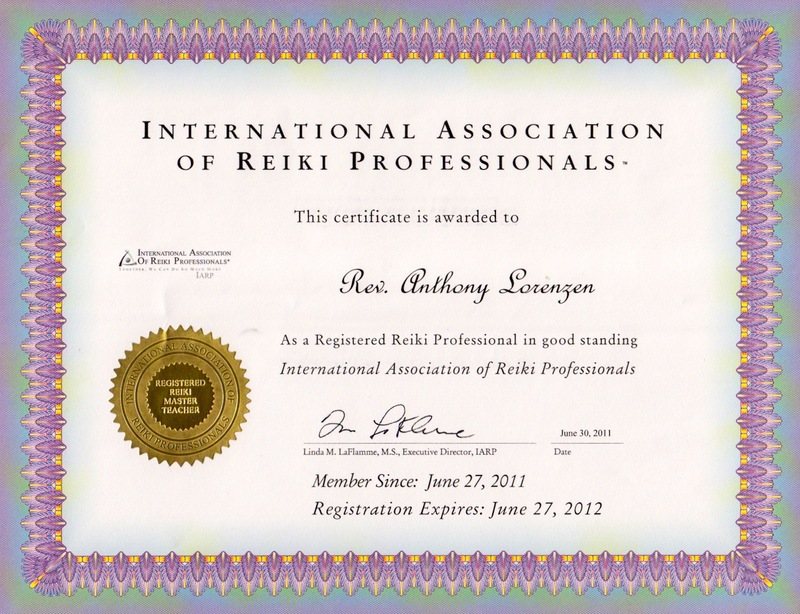 I am a Registered Reiki Practitioner and Teacher with the International Association of Reiki Professionals. I am also an ordained Unitarian Universalist Minister. I was ordained by the First Church in Leominster, Unitarian Universalist on June 3, 2007 and currently serve Pathways Church, a Unitarian Universalist Community in Southlake, TX. I specialize in working with adults who seek to make Reiki a part of their spiritual lives and/or spiritual practice. I am also available for Reiki sessions for by appointment and I periodically teach Reiki I and II classes. I am available to speak about Reiki or teach Reiki classes in church settings, including worship settings. Reiki is an ancient healing art. It is a subtle and effective form of energy healing using a universally available spiritually guided life force energy (Rei-ki). Reiki is now practiced around the world and in used in many settings including hospitals and hospices as well as in private practice and as a self-care practice. It is an excellent complimentary care modality for any wellness or healing program. Reiki is not a religion, nor is it affiliated with any religion or particular spiritual practice. Reiki practitioners transmit or channel Reiki healing energy through their hands. Reiki practitioners are not the source of the Reiki energy. Anyone can learn to practice Reiki as the Reiki energy is available to anyone. The ability to channel and use the Reiki energy is passed on by means of an attunement process from teacher to student and can be learned in a matter of hours. The energy has its own innate wisdom and although an experienced practitioner is of value, a treatment from even a new practitioner is incredibly valuable. Reiki is a positive energy and can do no harm. A Reiki session may help ease tension and stress and may help support the body to facilitate healing on all levels- physical, emotional and spiritual. A session is pleasant and relaxing and is most often utilized for one’s own personal wellness, not just illness. Reiki can be used for general wellness as well as for specific issues. Reiki works by assisting to reduce stress, which in turn creates an environment within the body where healing is more easily facilitated. Reiki may be effective people who suffer from migraines and chronic headaches, insomnia, fatigue, pain, stress and depression. These are areas in my Reiki ministry in which I feel I have had success. Although Reiki is not a religion, nor is it tied to any specific religious beliefs or practices, I believe Reiki can be an important spiritual practice of its own whatever a person’s religion or spirituality, helping people stay in touch with their energy level, their body, the way they’re feeling, and how they are feeling connected to the divine source of all energy, themselves, and others. The first Reiki Session begins with a brief interview and client intake form. You will be asked a series of questions so that I may plan the beneficial Reiki session or series of sessions for your individual needs. Please know that privacy and confidentiality are maintained at all times. Reiki treatments are performed on a massage table and you remain fully clothed. Usually you being lying face up, and I go through the standard Reiki hand positions. If during our intake interview, you indicate that you wish for me to pay more attention to a certain area or injury, I will do so. I may also sense that your energy field calls me to focus attention on a certain area. In addition, if during our intake interview you request that I do not work certain areas, I will not work on those areas. During a Reiki session, clients are encouraged to relax and inform me of anything that makes them uncomfortable physically, emotionally or spiritually. Please feel free to offer feedback during the session. I will talk with you before the session about expectations and after the session about your experience, but I will usually not speak to you during the Reiki session as I want you to relax as much as possible and I am most at ease with the Reiki when I am quiet and meditative. If anything feels uncomfortable, however, please speak up immediately as I want to know as soon as possible. Know that everyone experiences Reiki differently, but most people feel Reiki as a sensation of warmth or tingling or a very relaxed, sleepy feeling. I will not work on a person who is under the influence of drugs or alcohol. Sexual harassment is not tolerated in any way. You should not feel mistreated in any way and if I think my safety feels compromised in any way, the session will be stopped immediately. As a minister, I am comfortable including prayer and meditation as part of a Reiki session, either before and/or after the treatment. This is not a mandatory part of Reiki as Reiki is not a religion, nor is it aligned with any specific religion or belief system, but as I believe it is connected to the divine source of all energy, I am comfortable including prayer and meditation practices as part of your session at your request. Reiki is an energy healing modality and I believe love is the highest form of energy there is, therefore when we channel Reiki we are in touch with the divine power of love in universe. – The first appointment is longer and includes a history, assessment and introduction, usually about 75 minutes. – If a client is late, the session time is still running within the 60 minute appointment. – If I am late, the session still lasts 60 minutes or the treatment rate is discounted. – Please cancel appointment 24 hours in advance or you will be charged the full amount. – There is always an answering machine on my phone if I don’t answer and I always answer email within 24 hours. – Emergency cancellations are at my discretion. – I see clients Monday and Tuesday evening from 5-8 p.m. or on Fridays or Saturdays. If during an initial assessment I determine with reasonable certainty that my ministry will not help you, I will end the session immediately and do my best to refer you elsewhere if that seems appropriate. I charge $60 for a one-hour Reiki session. Payment is due at time of service. I accept cash and checks made out to Anthony F. Lorenzen. I do not bill clients nor do I provide direct billing to insurance companies. If you are dissatisfied with your Reiki session, please speak to me. Options include a refund, a complimentary session or stopping Reiki.